As curator of Röda Sten Konsthall, you will initiate and produce two to four exhibitions as part of Röda Sten Konsthall’s regular productions. In addition to these activities, you will also be one of two artistic directors of GIBCA 2015. Röda Sten Konsthall is one of Sweden’s most extraordinary spaces for contemporary art and organizes a number of exhibitions every year. Its unique building, quality-based programme and extensive art educational activities focusing on contemporary art and architecture give Röda Sten Konsthall a strong profile on both a national and an international level and make it one of the leading art institutions in the region of Western Sweden. 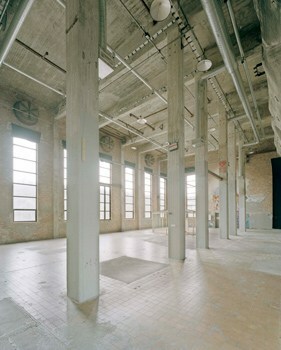 Röda Sten Konsthall is also the organizer of the Göteborg International Biennial of Contemporary Art (GIBCA). Röda Sten Konsthall is managed by the independent organisation Röda Sten Cultural Association. As curator of Röda Sten Konsthall, you will initiate and produce two to four exhibitions as part of Röda Sten Konsthall’s regular productions. The day-to-day work will consist in producing exhibitions—from curatorial idea to execution and evaluation. Key elements of this work consist in drafting texts and planning, as well as maintaining close contacts with both artists and partners. You are expected to engage in the full range of tasks related to each production, working with every aspect of it and the whole team at RSK. Being able to maintain a cooperative and supportive environment between the various actors and activities is a prerequisite for the position. Additionally, you will be expected to participate in public activities, such as artist talks, seminars and guided tours. In addition to these activities, you will also be one of two artistic directors of GIBCA 2015. Together with your colleague you will develop the overall concept, strategy and direction of the biennial. Invited curators will be responsible for individual projects developed in relation to the overall concept and presented in a range of different venues. In your role as co-director of GIBCA 2015 you will plan, realize and follow up on all activities in collaboration with your colleague. Among other things, this will involve jointly formulating the overall focus and direction of GIBCA, initiating and following up on collaborations, as well as engaging in international and national strategy development work. You are expected to be closely involved in supervising the production process of GIBCA 2015. You will guide and support the invited curators and the project group. Röda Sten Konsthall’s regular staff team includes the director, finance administrator, programme producer, art educators, technicians, the public relations officer and the head of communications. You will work closely with the team and report to the director. The overarching responsibility for all operations lies with the board of the Röda Sten Cultural Association. Your ability to present both continuity and interesting development ideas for the artistic direction is crucial. Extensive experience of curatorial work and the continuous production of exhibitions is a mandatory requirement for this position, as well as a related university degree. Equally critical to the post is a close familiarity with contemporary theoretical art discourse and practical problem-solving abilities with regards to production work. Experience of working in an independent organization is an advantage. The person we are looking for will need to have a wide network of contacts in the international art world. The position requires the ability to communicate and write at a professional level in English. Additional language skills will be weighed in the applicant’s favour. As a person you are outgoing, humble but with integrity, and are teamwork oriented. You have both administrative and practical skills, as well as strategic ones. Experience with working on a budget and with project financing is mandatory. You are energetic and driven and have experience in working with limited resources. Being a team player is a prerequisite in a smaller organization such as this one, and for the association as a whole. Duration: 15 January 2014–31 December 2015, with the possibility of a permanent post. The position will begin with a six-month probation period. Application: Letter (maximum two pages) describing your ambition for the position, CV, as well as an exhibition proposal, which may be realized during the summer of 2014. Send application to Mia Christersdotter Norman, director Röda Sten Konsthall, @">@.